Rin Tin Tin was a movie star but your dog thinks its a Diva. 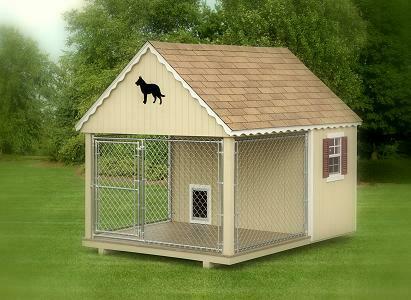 This beautiful dog kennel comes in different sizes and colors made just like our sheds with 2″x4″ construction, T1-11 w/Duratemp and maintenance-free flooring this deluxe dog house kennel will last for years to come. 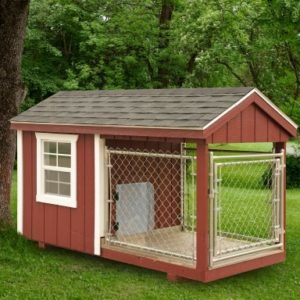 Our most popular size is 8’x10′ but comes in custom sizes also.